An Application of Computational Drug Repurposing Based on Transcriptomic Signatures. Karatzas E, Kolios G, Spyrou GM. Vasiliki Gkretsi, Maria Louca, Andreas Stylianou, George Minadakis, George Spyrou, Triantafyllos Stylianopoulos. Pavlos Kafouris, Iosif Koutagiar, Alexandros Georgakopoulos, Nikoletta Pianou, Marinos Metaxas, George Spyrou, Constantinos Anagnostopoulos. Bioinformatics . 2018 Aug 14. doi:10.1093/bioinformatics/bty693. Integrating multi-source information on a single network to detect disease-related clusters of molecular mechanisms. M. Zachariou, G. Minadakis, A. Oulas, S. Afxenti, G. M. Spyrou. J Proteomics. 2018 Mar 13. pii: S1874-3919(18)30104-0. doi: 10.1016/j.jprot.2018.03.009. 18F-Fluorodeoxyglucose Positron Emission tomography/Computed Tomographic Imaging Detects Aortic Wall Inflammation in Patients With Repaired Coarctation of Aorta. Brili S, Oikonomou E, antonopoulos AS. Pianou N, Georgakopoulos A, Koutagiar I, Kafouris P, Stroumpouli E, Dounis C, Metaxas M, Spyrou G, Anagnostopoulos CD, and Tousoulis D.
Circ Cardiovasc Imaging. 2018 Jan 11(1):e007002. doi: 10.1161/CIRCIMAGING.117.007002. 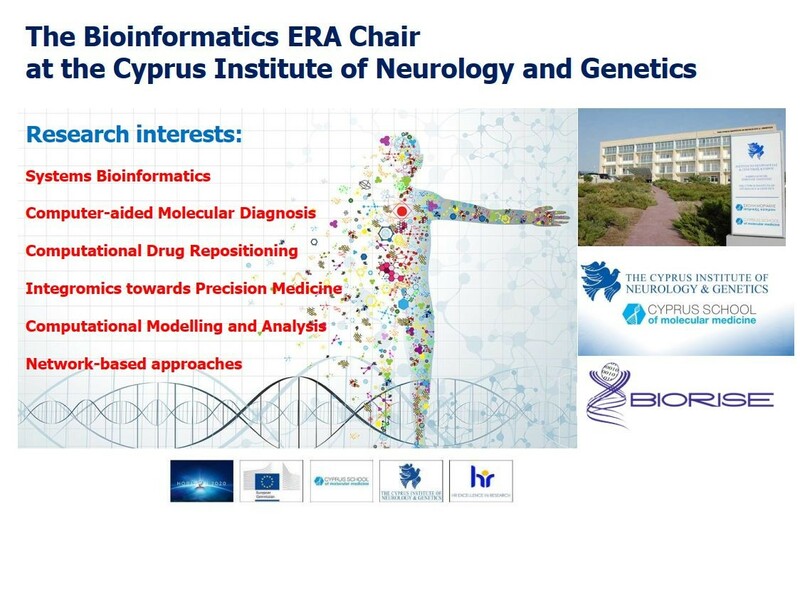 Systems Bioinformatics: increasing precision of computational diagnostics and therapeutics through network-based approaches. A. Oulas, G. Minadakis, M. Zachariou, K. Sokratous, M. M. Bourdakou, G. M. Spyrou. Briefings in Bioinformatics. 2017 Nov 27. doi: 10.1093/bib/bbx151. Computational profiling of the gut-brain axis: microflora dysbiosis insights to neurological disorders. Dovrolis N, Kolios G, Spyrou GM, Maroulakou I. 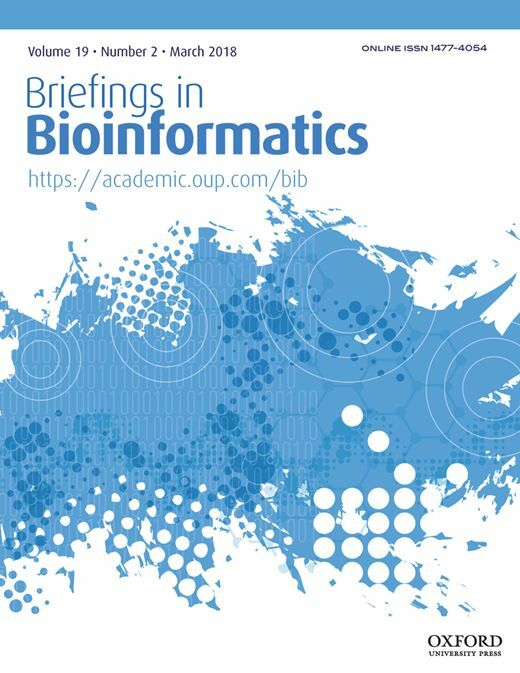 Briefings in Bioinformatics. 2017 Nov 27. doi: 10.1093/bib/bbx154. Informed walks: whispering hints to gene hunters inside networks' jungle. Marilena M. Bourdakou and George M. Spyrou. BMC Systems Biology. 2017 Oct 11;11(1):97. doi: 10.1186/s12918-017-0473-6. Drug repurposing in idiopathic pulmonary fibrosis filtered by a bioinformatics-derived composite score. E. Karatzas, M. M. Bourdakou, G. Kolios & G. M. Spyrou. Scientific Reports (Nature). 2017 Oct 3;7(1):12569. doi: 10.1038/s41598-017-12849-8. Laying in silico pipelines for drug repositioning: a paradigm in ensemble analysis for neurodegenerative diseases. Dovrolis Nikolas, Kolios George, Spyrou George, Maroulakou Ioanna. Drug Discov Today. 2017 Mar 29. pii: S1359-6446(17)30135-6. Sediment microbial taxonomic and functional diversity in a natural salinity gradient challenge Remane’s "species minimum" concept. Christina Pavloudi, Jon B Kristoffersen, Anastasis Oulas, Marleen De Troch, Christos Arvanitidis. PeerJ. 2017 Oct 13;5:e3687. doi: 10.7717/peerj.3687. eCollection 2017. Pharmacological Stimulation of Phagocytosis Enhances Amyloid Plaque Clearance; Evidence from a Transgenic Mouse Model of ATTR Neuropathy. Eleni Fella, Kleitos Sokratous, Revekka Papacharalambous, Kyriakos Kyriakou, Joy Phillips, Sam Sanderson, Elena Panayiotou, Theodoros Kyriakides. Front. Mol. Neurosci. 2017 May 10;10:138. doi: 10.3389/fnmol.2017.00138. eCollection 2017. Fused man-machine classification schemes to enhance diagnosis of breast microcalcifications. Andreadis I, Chatzistergos S, Spyrou G, Nikita K.
Automatic cumulative sums contour detection of FBP-reconstructed multi-object nuclear medicine images. Protonotarios NE, Spyrou GM, Kastis GA.
Comput Biol Med. 2017 Jun 1;85:43-52. doi: 10.1016/j.compbiomed.2017.04.010. Epub 2017 Apr 14. Seqenv: linking sequences to environments through text mining. L Sinclair, U Z Ijaz, L J Jensen, M Coolen, C Gubry-Rangin, S Berger, A Chroňáková, A Oulas, C Pavloudi, J Schnetzer, A Weimann, A Z Ijaz, A Eiler, C Quince, E Pafilis. PeerJ. 2016 Dec 20;4:e2690. doi: 10.7717/peerj.2690. eCollection 2016.